Tio Gringo - the perfect solution to any mood disorder. Country Trash to the MAX! The band has some serious D.I.Y. ethics; the drumkit for instance is selfmade out of a cementtub and some pots and pans. Their records have been recorded in the home studio of Eric Haamers (Batmobile). The primary goal is to keep their music as pure as it can be, without too much fancy stuff. 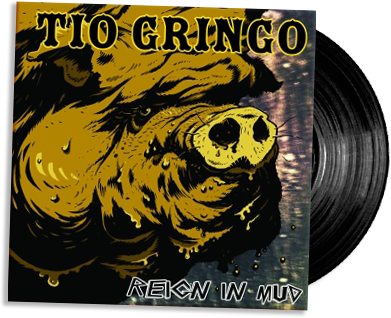 Tio Gringo will continue playing in venues, bars and festivals, like they did at, for example, Muddy Roots Europe, Speedfest, Scumbash, Breda Barst, 013, and Moonshine Madness or as support act for bands like Peter Pan speedrock, Danny Vera, Bob Wayne, Deaf Americans, The Pine box Boys, The Goddamn Gallows and The Monsters.